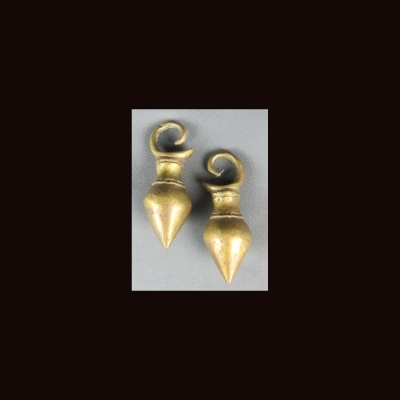 Dayak brass ear weight with spinning top design . Dayak women wear this earring to symbolise the status and beauty. hand casted by local dayak people of borneo .